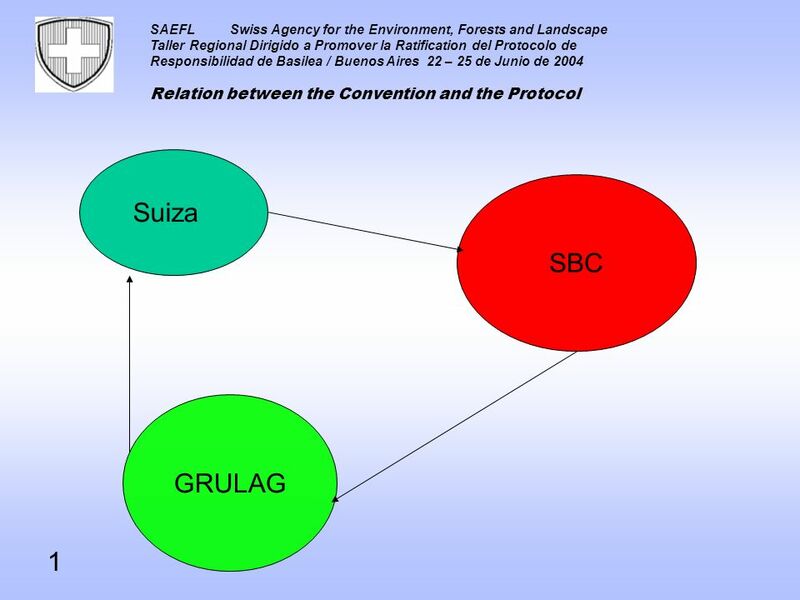 SAEFLSwiss Agency for the Environment, Forests and Landscape Taller Regional Dirigido a Promover la Ratification del Protocolo de Responsibilidad de Basilea. 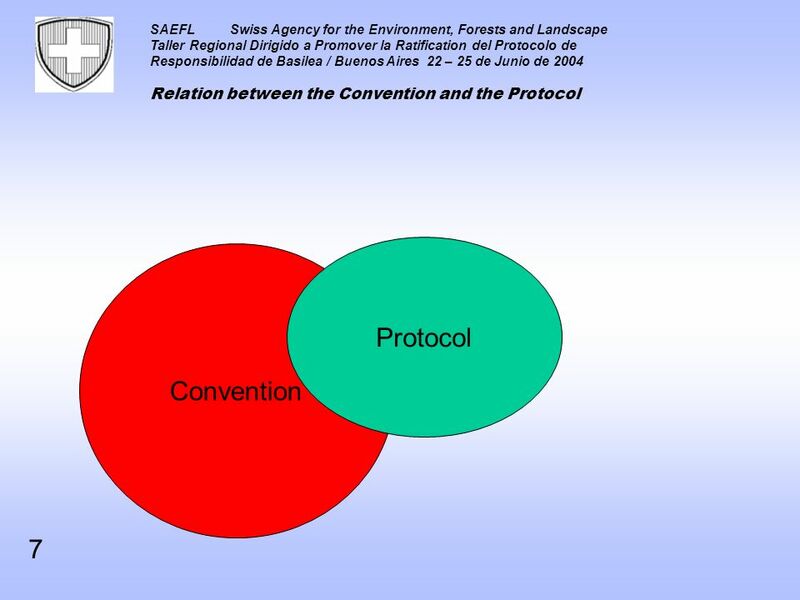 Download ppt "SAEFLSwiss Agency for the Environment, Forests and Landscape Taller Regional Dirigido a Promover la Ratification del Protocolo de Responsibilidad de Basilea." EU Environmental Liability Legislation & Environmental Risk Management A Banking Sector Perspective Harry Papageorgiou Head, Environment Office, Eurobank. Managing Hazardous Waste India-EU Environment Forum Waste Management in the 21 st Century 12 November 2005 Sarah Paul Senior Policy Adviser Hazardous Waste. Risk Assessment and Risk Management of Living Modified Organisms under the Cartagena Protocol on Biosafety Ryan Hill and Cyrie Sendashonga Secretariat. 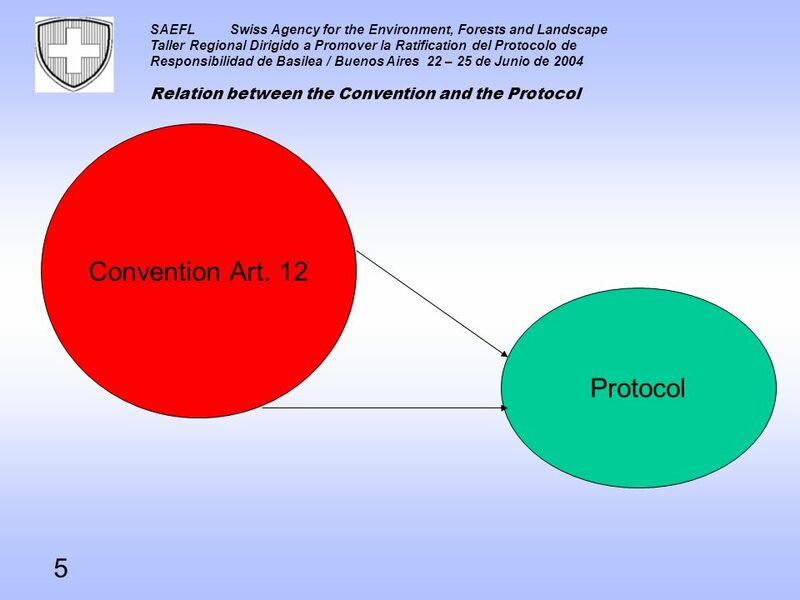 SAEFLSwiss Agency for the Environment, Forests and Landscape Regional Workshop aimed at Promoting Ratification of the Basel Protocol on Liability Addis. Page 1 Warsaw, Poland January 18-20, 2006 Dana Lapešová BCRC Bratislava, Slovakia BASEL CONVENTION REGIONAL CENTRE BRATISLAVA, SLOVAK REPUBLIC Difficulties. 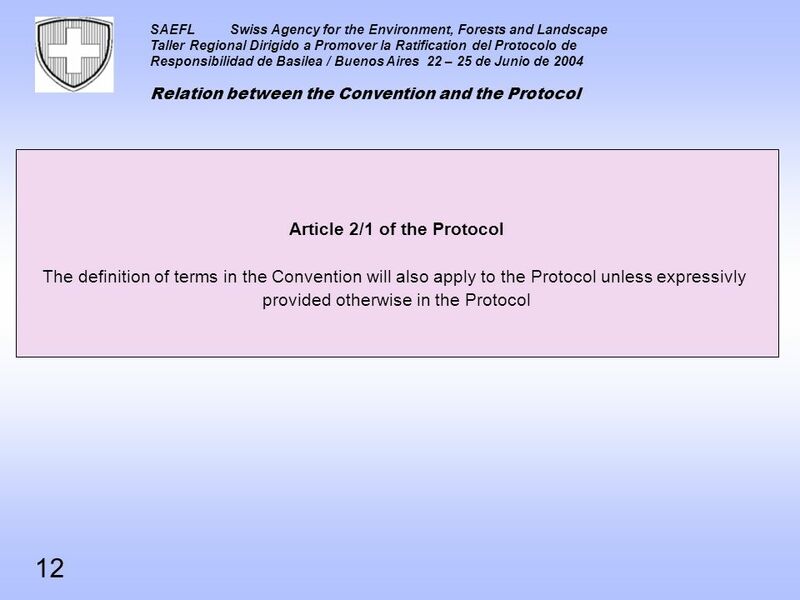 Secretariat of the Basel Convention United Nations Environment Programme Regional Workshop Aimed at Promoting Ratification of the Basel Protocol on Liability. 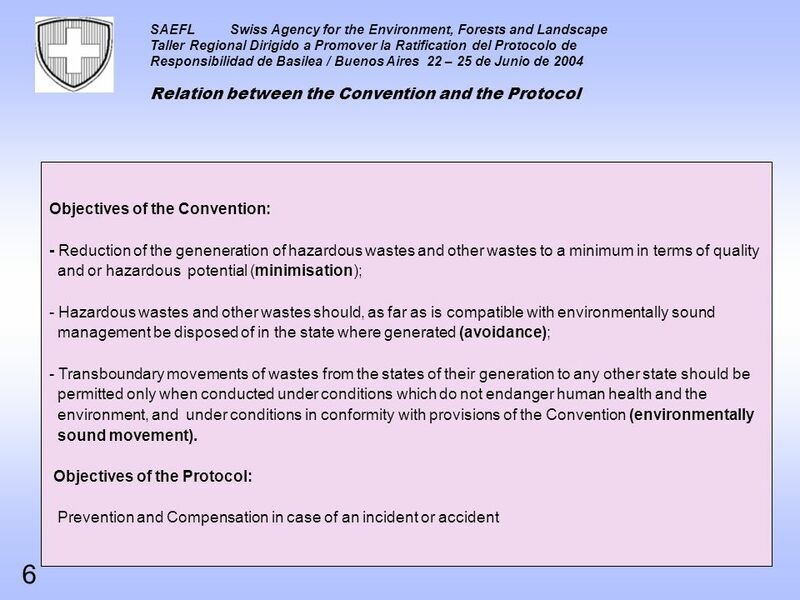 Overview of the Basel Convention and Basel Protocol: History and Goals Ms. Donata Rugarabamu Senior Legal Officer Secretariat of the Basel Convention Regional. 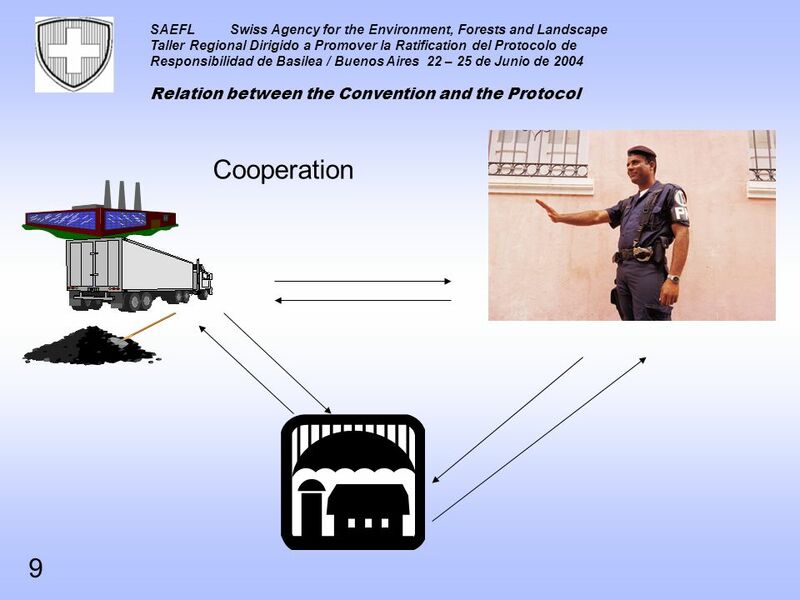 Regional Workshop aimed at Addressing Aspects and Obstacles to the Process of Ratification of or Accession to the Basel Protocol on Liability and Compensation. 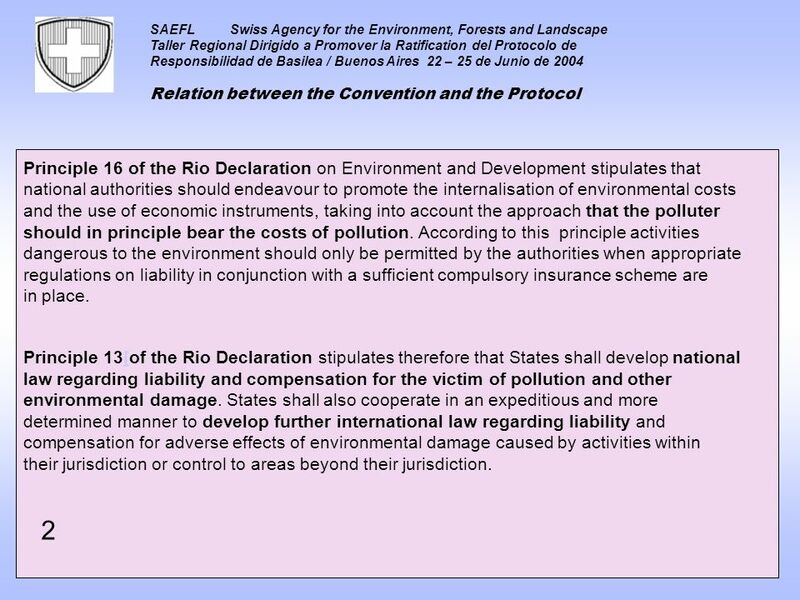 Basel Protocol Financial limits and insurance Katarína Lenková SEA CWEM Bratislava, Slovak Republic Warsaw, 18 – 20 January 2006. Basel Protocol Ratification Ms. Alena MÁTEJOVÁ Ministry of Foreign Affairs of the Slovak Republic Warsaw, January 2006. 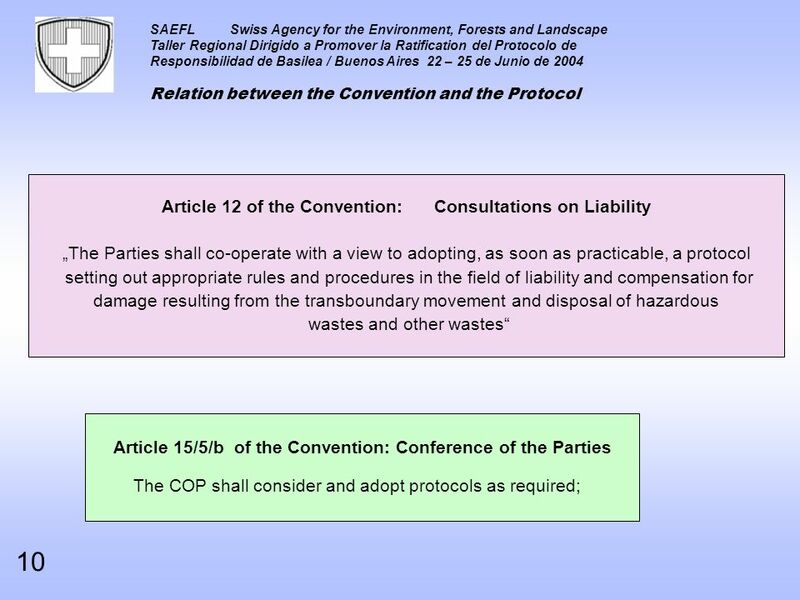 Basel Protocol on Liability and Compensation Civil Liability Magda Gosk Chief Inspectorate for Environmental Protection Division of Transboundary Movement. 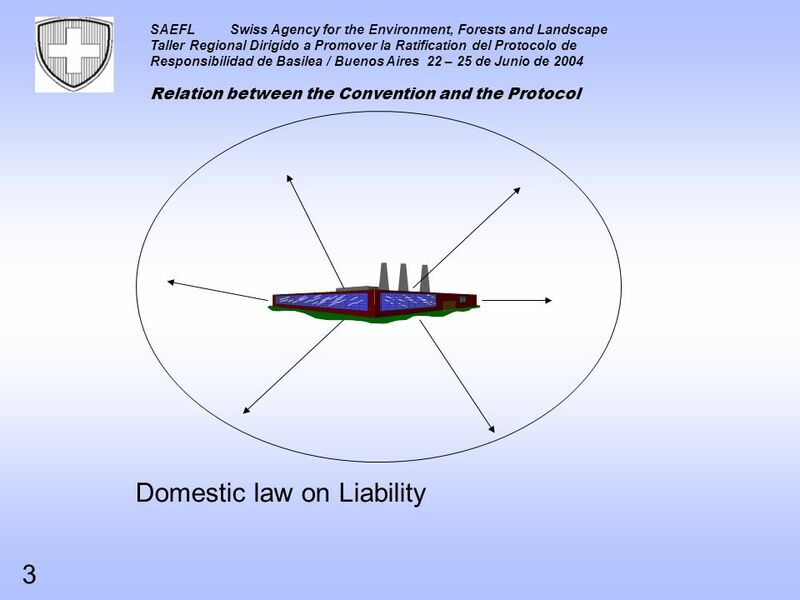 Basel Protocol on Liability Civil Liability József Kelemen Ministry of Environment and Water. 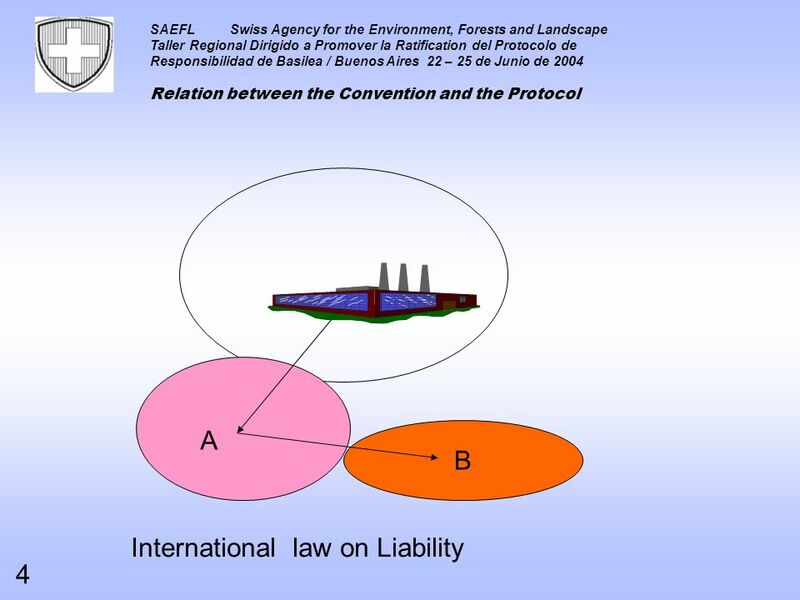 Basel Protocol on Liability and Compensation Financial Limits And Insurance. 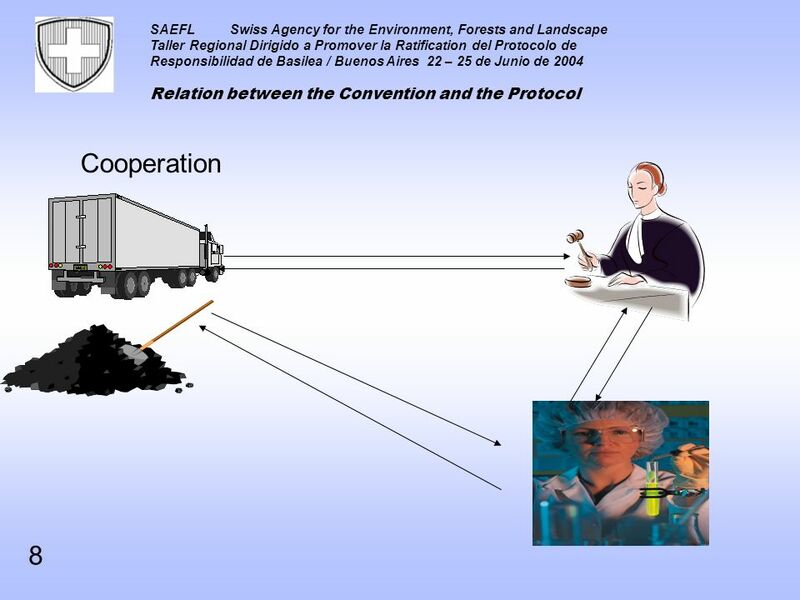 Magda Gosk Chief Inspectorate for Environmental Protection Division of Transboundary. Regional Workshop Warsaw, January 2006 STATE UNION OF SERBIA AND MONTENEGRO Basel Protocol on Liability and Compensation Questionnaire No. 1 Civil. 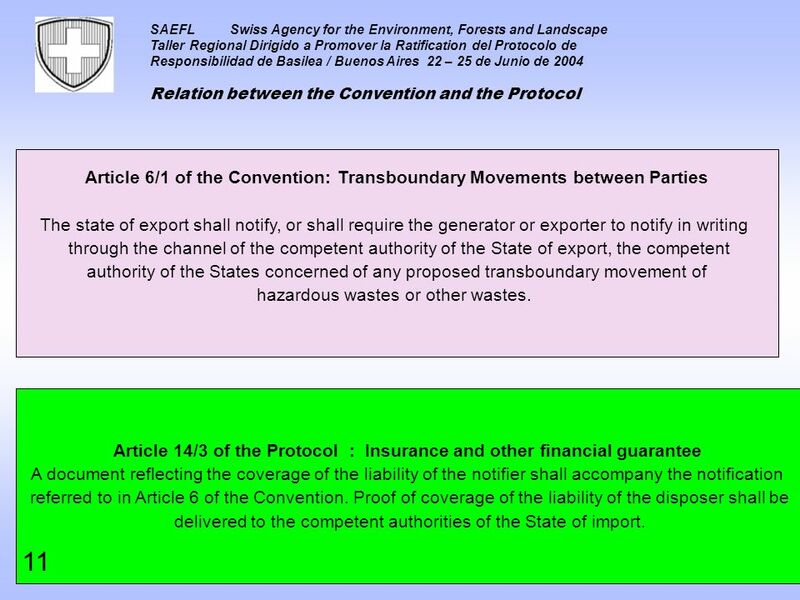 Poland Basel Protocol on Liability and Compensation Financial Limits And Insurance Questionnaire 2 Ratification Krystyna Panek - Gondek Chief Inspectorate.